More than fifty years ago, John Coltrane drew the twelve musical notes in a circle and connected them by straight lines, forming a five-pointed star. Inspired by Einstein, Coltrane had put physics and geometry at the core of his music. Physicist and jazz musician Stephon Alexander returns the favor, using jazz to answer physics' most vexing questions about the past and future of the universe. Following the great minds that first drew the links between music and physics�Ca list including Pythagoras, Kepler, Newton, Einstein, and Rakim�CThe Jazz of Physics revisits the ancient realm where music, physics, and the cosmos were one. This cosmological journey accompanies Alexander's own tale of struggling to reconcile his passion for music and physics, from taking music lessons as a boy in the Bronx to studying theoretical physics at Imperial College, London's inner sanctum of string theory. Playing the saxophone and improvising with equations, Alexander uncovered the connection between the fundamental waves that make up sound and the fundamental waves that make up everything else. As he reveals, the ancient poetic idea of the "music of the spheres," taken seriously, clarifies confounding issues in physics. Whether you are more familiar with Brian Greene or Brian Eno, John Coltrane or John Wheeler, the Five Percent Nation or why the universe is less than five percent visible, there is a new discovery on every page. 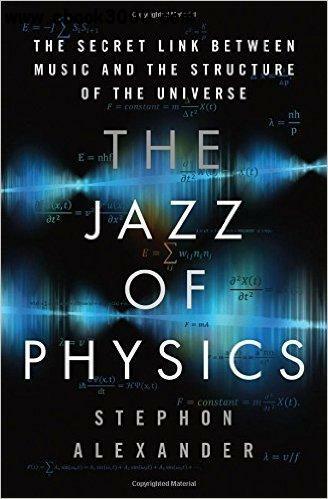 Covering the entire history of the universe from its birth to its fate, its structure on the smallest and largest scales, The Jazz of Physics will fascinate and inspire anyone interested in the mysteries of our universe, music, and life itself.